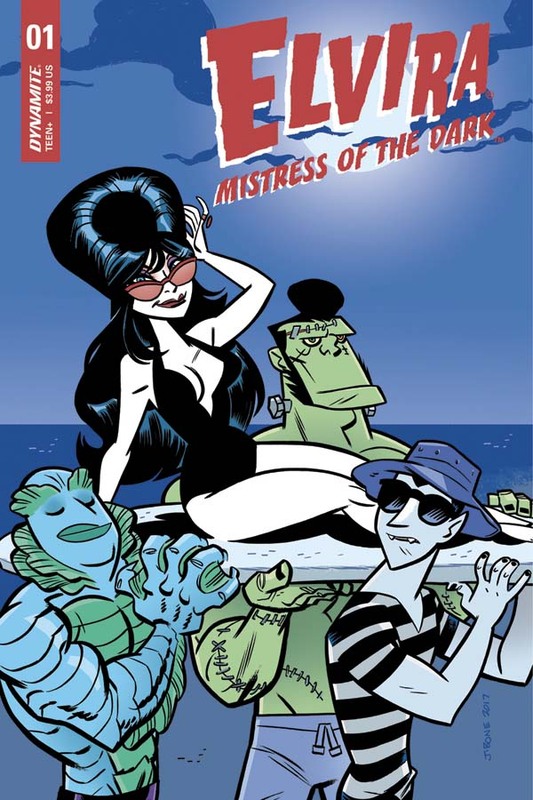 Avallone has created quite a following with his celebrated comic work on pulp heroes like The Shadow and Doc Savage, spinning tales of terror with the Twilight Zone and crafting new adventures for another classic beauty, Bettie Page. This project reteams Avallone with his frequent collaborator Acosta. Together the two talented creators have worked on multiple project together including Doc Savage: Ring of Fire, Twilight Zone / The Shadowand a story in the Love is Love anthology that raised money for the Pulse Nightclub shooting victims. 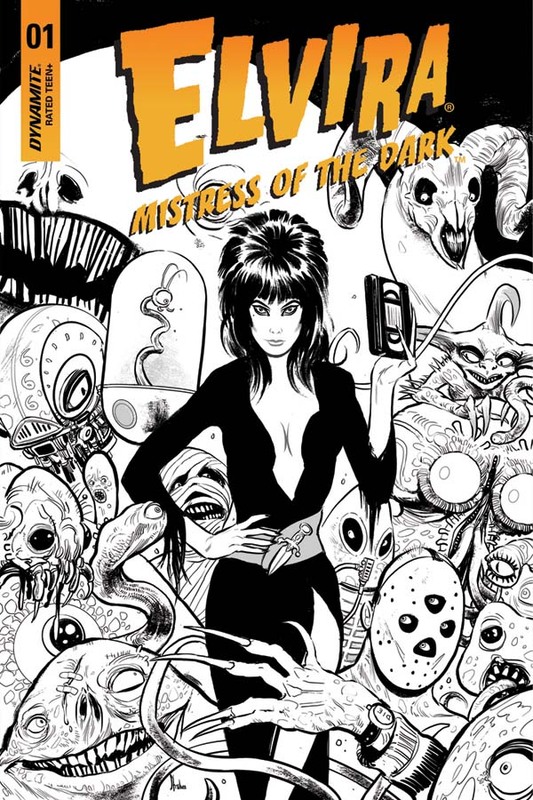 Elvira: Mistress of the Dark #1 will be solicited in the May issue of Diamond Previews catalog, the comic industry’s premier source of merchandise for the comic book specialty market, and scheduled to ship in July of 2018. 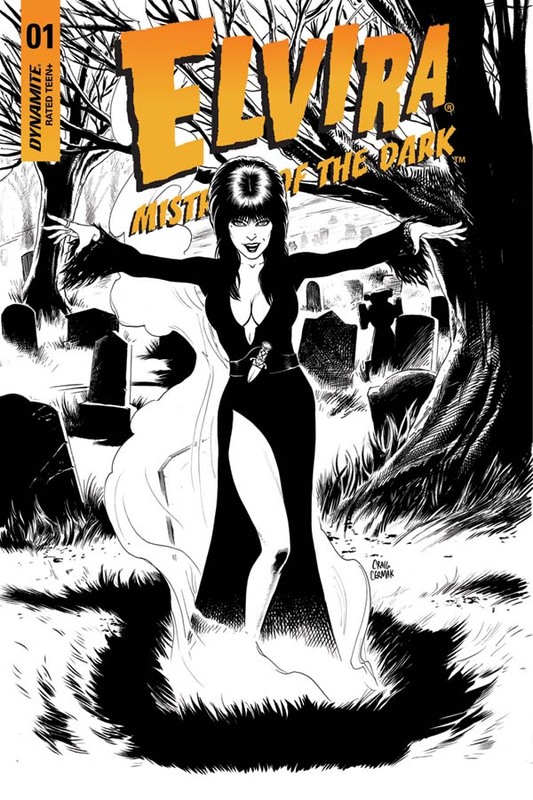 Readers are encouraged to order through their local comic retailers or through digital platforms courtesy of Comixology, Kindle, iBooks, Google Play, Dynamite Digital, iVerse, Madefire, and Dark Horse Digital. 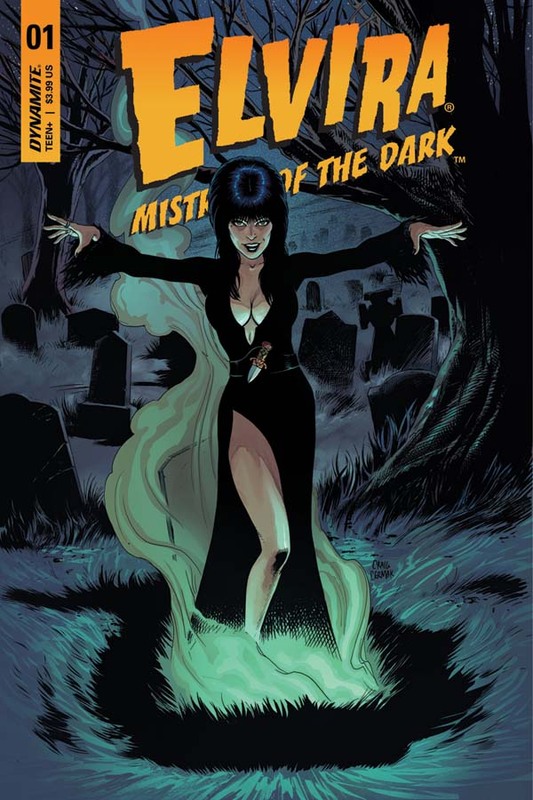 Fans are encouraged to follow Dynamite Entertainment’s social media channels for the latest updates on Elvira: Mistress of the Dark comic books and graphic novels. Dynamite is one of the few publishers that has Premiere status with Diamond Comics, the industry’s #1 distributor of comics and pop culture!